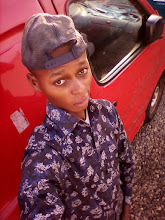 Hello Browsetechites it been a long time, This year has been the best goodies year for MTN subcribers from MTN Season of Surprise to MTN 1gb daily free browsing which was later capped to 50MB. 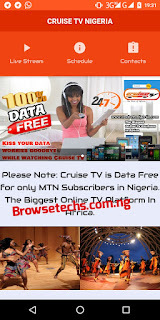 Today I'II be introducing an app called Cruise TV which can be use to stream live Tv show without Data on MTN. The Live TV show app is Dedicated to promote the African Culture Heritage, The channel offers a unique experience in digital broadcasting and has been designed to cater for all ages and races throughout africa. With Cruise TV app, you can stream live shows as it's been scheduled on a daily basis. 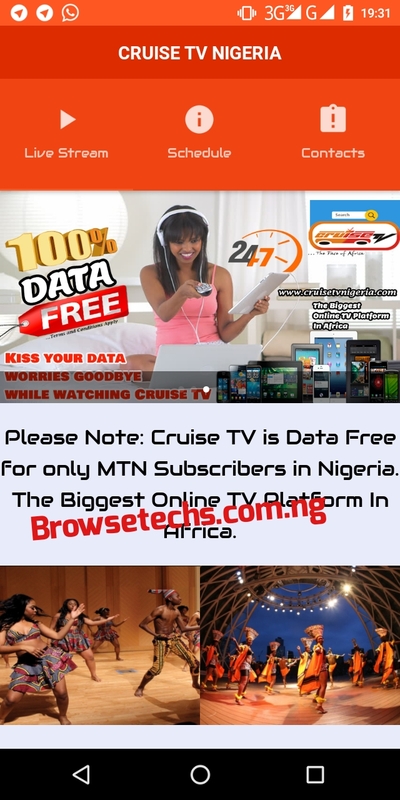 And as a matter of fact, you can stream on the app free of charge without data on your MTN SIM ONLY.